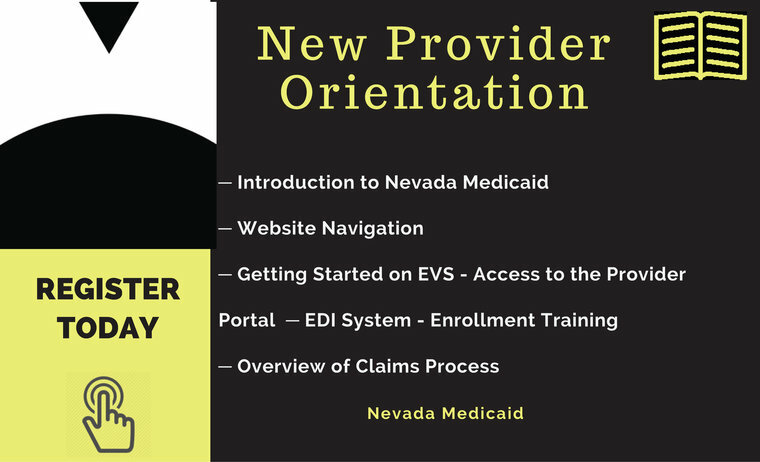 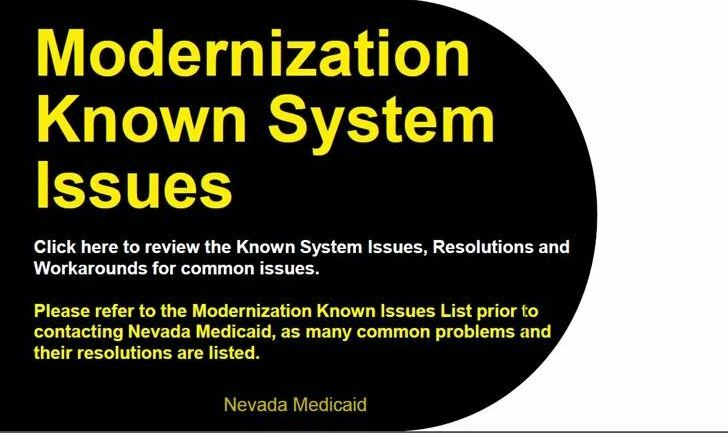 Welcome to the Nevada Medicaid and Nevada Check Up Provider Web Portal. 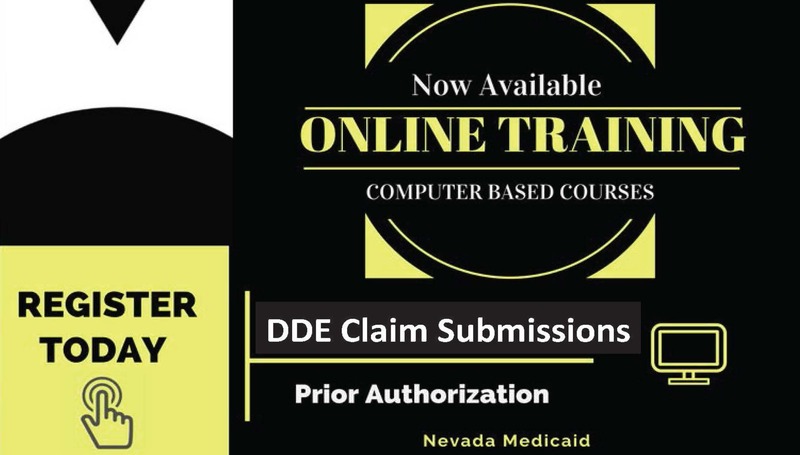 Through this easy-to-use internet portal, healthcare providers have access to useful information and tools regarding provider enrollment and revalidation, recipient eligibility, verification, prior authorization, billing instructions, pharmacy news and training opportunities. 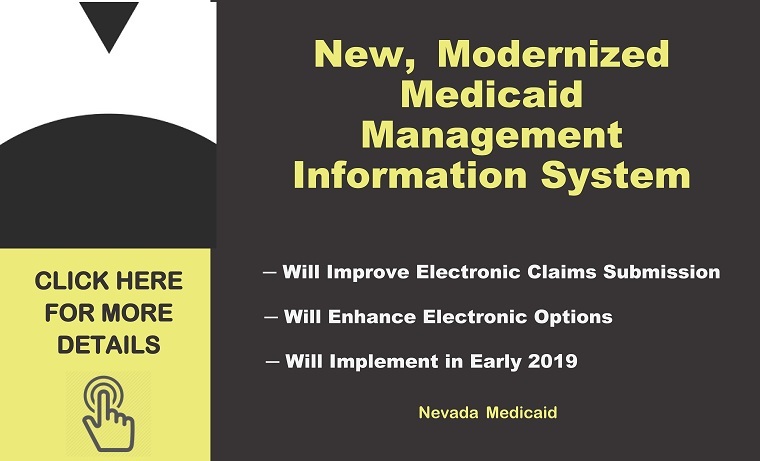 The notifications and web announcements keep providers updated on enhancements to the online tools, as well as updates and reminders on policy changes and billing procedures. 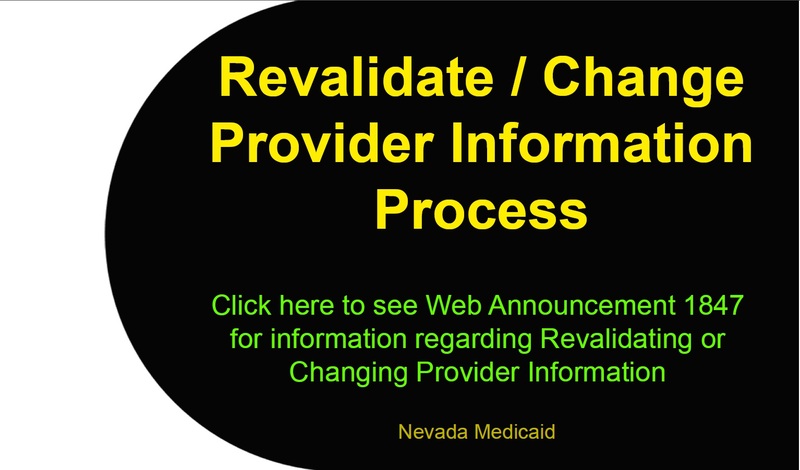 Thank you for your participation in Nevada Medicaid and Nevada Check Up.